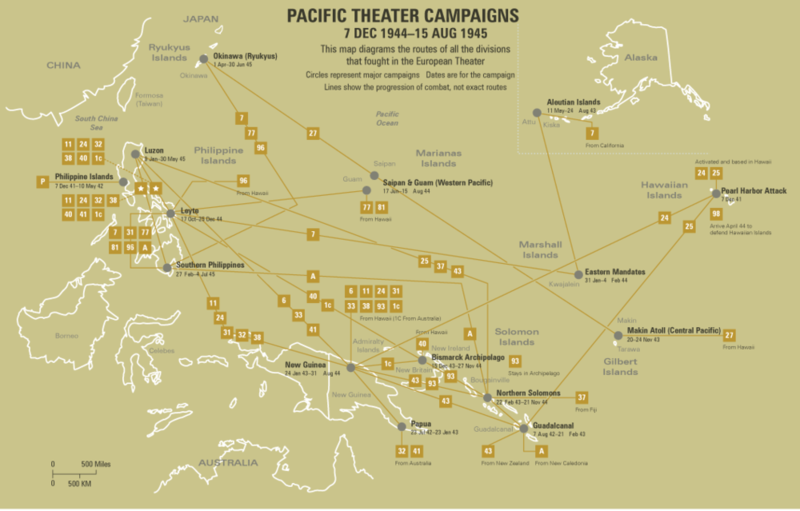 Units of the Philippine Division were on security missions at Manila, Fort McKinley, and Bataan prior to the declaration of war in the Pacific, 8 December 1941. After undergoing 2 days of bombings, the Division moved into the field to cover the withdrawal of troops to Bataan and to resist the enemy inthe Subic Bay area. 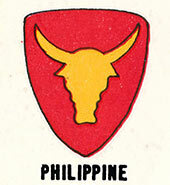 From 11 to 23 December, positions were organized and strengthened and on 23 December the Division was assigned to the Bataan Defense Forces. While the 31st Infantry moved to the vicinity of Zig-Zag to cover the flanks of troops withdrawing from central and southern Luzon, 30 December, the rest of the Division organized the main and reserve positions on Bataan. The 31st Infantry moved to a defensive position on the west side of the Olongapo Road near Layac Junction, 5 January 1942. This junction was lost on the 6th, but the withdrawal to Bataan had been successfully concluded. The Division was placed in reserve from 7 to 14 January 1942. This period was largely one of reconnaissance and development by the Japanese in preparation for their attack on the main battle position on the Abucay line. Elements repulsed night attacks near Abucay, 10-12 January,, and other elements of the Division counterattacked on the 16th. Strong offensive and defensive action was not able to prevent enemy penetrations and the Division withdrew to the Reserve Battle Position in the Pilar-Bagac area, 2 January. Until the latter part of March the enemy, made cautious by heavy losses, engaged in patrols and limited local attacks, and after a general retirement, 24 February, did not undertake any serious activity on this front until 28 March. During this period elements of the Division were shifted to assist in the defense of other sectors. The enemy attack on 28 March struck at a division weakened by malnutrition, sickness, and prolonged exposure to combat. The Division, no longer operating as a coordinated unit, was unable to counterattack against heavy enemy assaults. On 8 April, the 57th Infantry and the 31st Infantry were lost near the Alangan River, and the 45th Infantry surrendered, 10 April 1942. The victory over Japan ended the misery of Japanese prison camps for the survivors of the Philippine Division.